Maison de Cinq's Top Ten Posts of 2017! So, like I did last year, today I’m sharing the Top Ten Posts of the Year on Maison de Cinq! These are the ten posts that had the most views….. I loved doing this post! 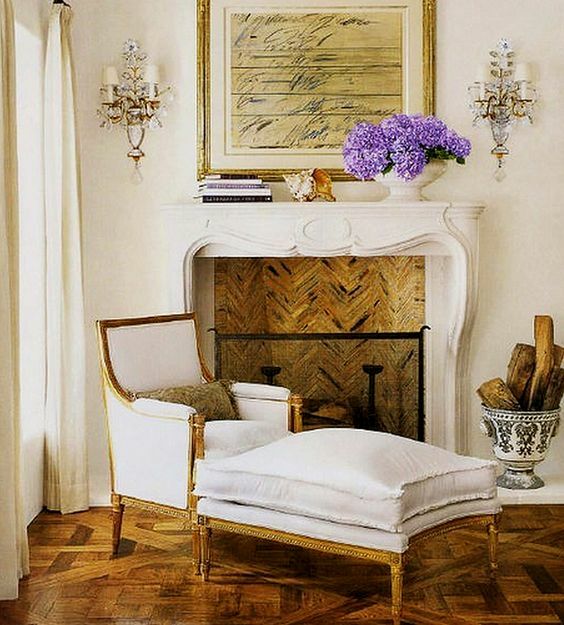 A bergère chair is my favorite kind of chair, for a multitude of reasons. Not only are they classic and stylish, but they are so versatile. They work in any room, and with almost any style of decor. And, I included lots of fabulous options – some at unbelievable prices! To be honest, I’m not surprised this is in the top ten as it was one of my favorites, too! 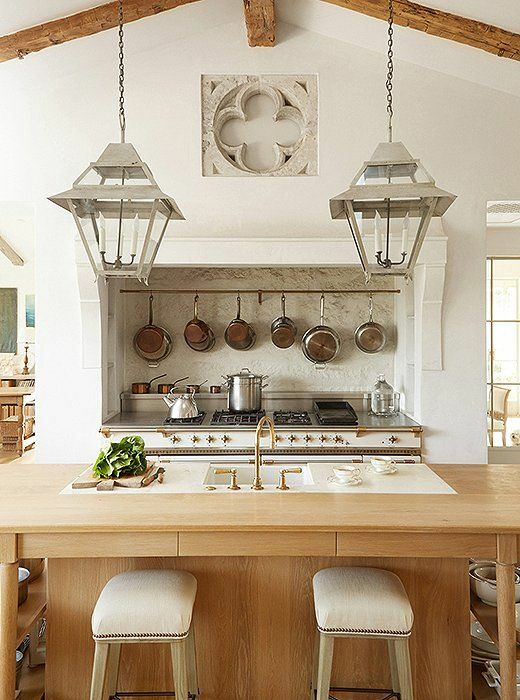 These kitchens are full of charm – and I love their mix of elegance and rusticity. So much pinning to be done here! I fell in love with French bread boards a few years ago, and have been slowly collecting them ever since. Then this year, I finally went to Provence (a dream come true!) and I was able to get a few more when I was there. However, I wrote this piece before I left, so I scoured high and low to find some for you, and even managed to find some deals in there, too! I was so excited to find that my first big design job, which I shared last July, made it into the top ten posts of the year! 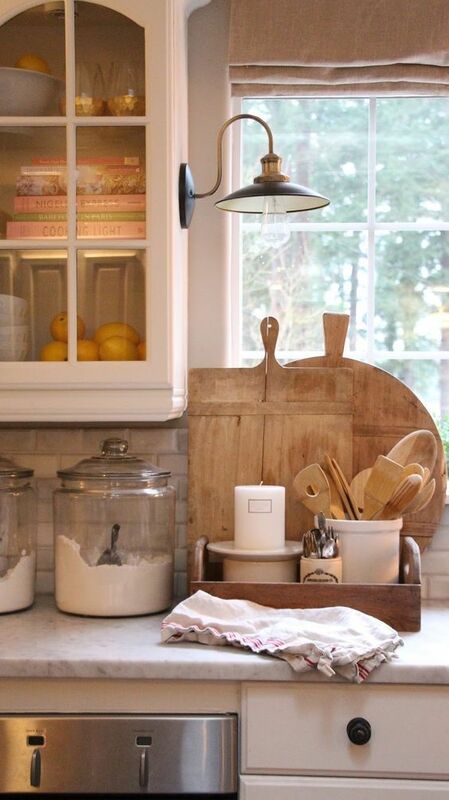 We took a dated Tuscan-style kitchen and turned it into a charming farmhouse-style space. I was so happy with this, and it looks like you were, too! The first home tour in the lineup (but definitely not the last!) 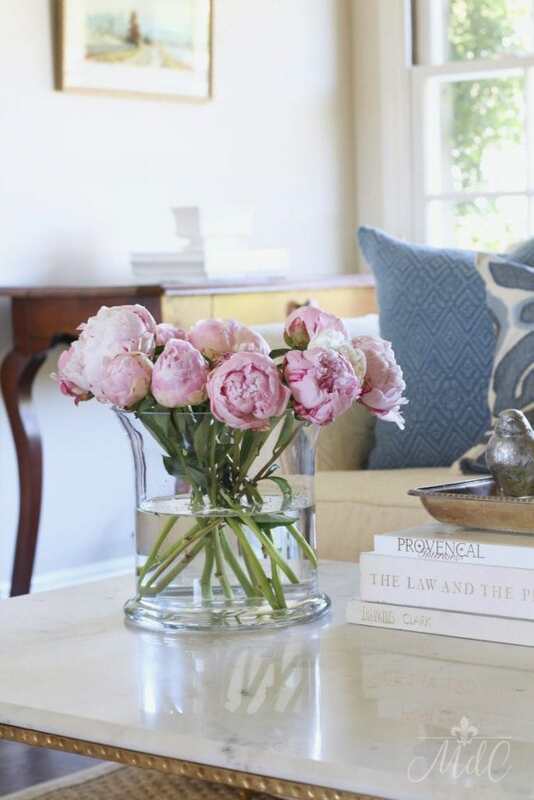 was my Spring into Summer Home Tour that I published in June. I also find it interesting that this is the post that got the most comments of any post all year. For whatever reason, people commented on this one more than any other! 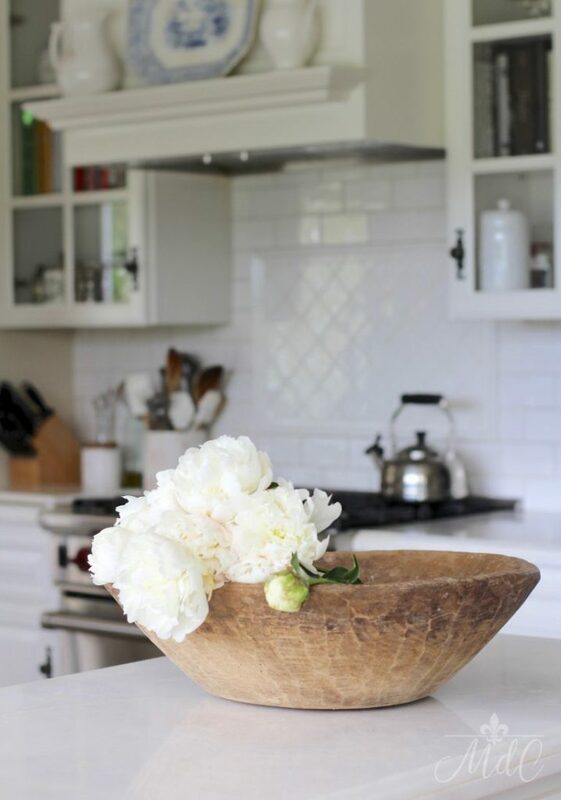 Another Friday Favorites post, this time focusing on one of my absolute favorite things to style – antique dough bowls. There are lots of creative ideas on how to use them, and even better, some tips on where to find them! The second tablescape to appear and my personal favorite of the year! 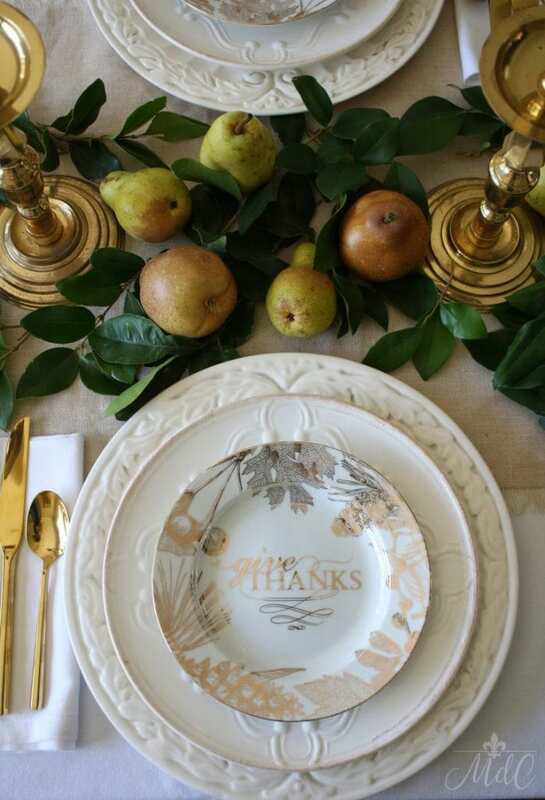 Here I did a tablescape in gold and cream featuring pears as my centerpiece. Though I called it a Thanksgiving table, it could really work any time in the fall, or even for Christmas if you changed out the plates. 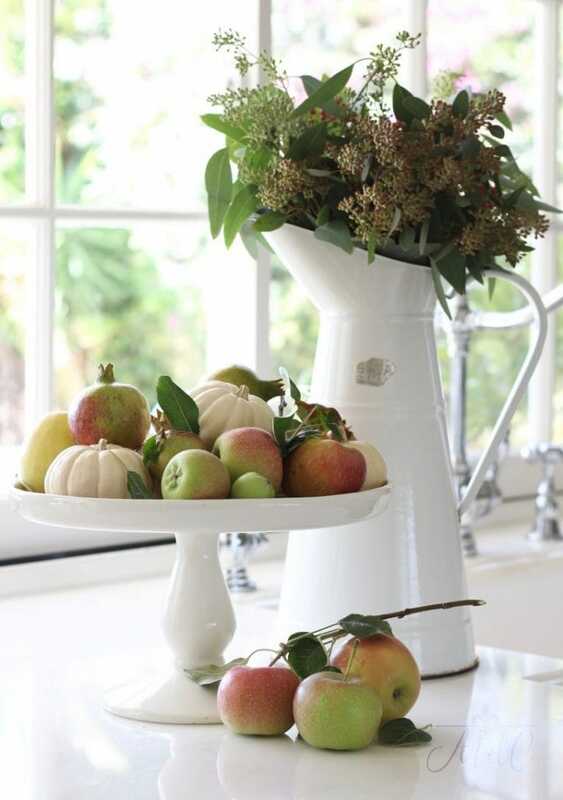 Home tours are always among my most popular posts, so it’s no surprise that the second home tour to appear in the top ten posts is this fall home tour. 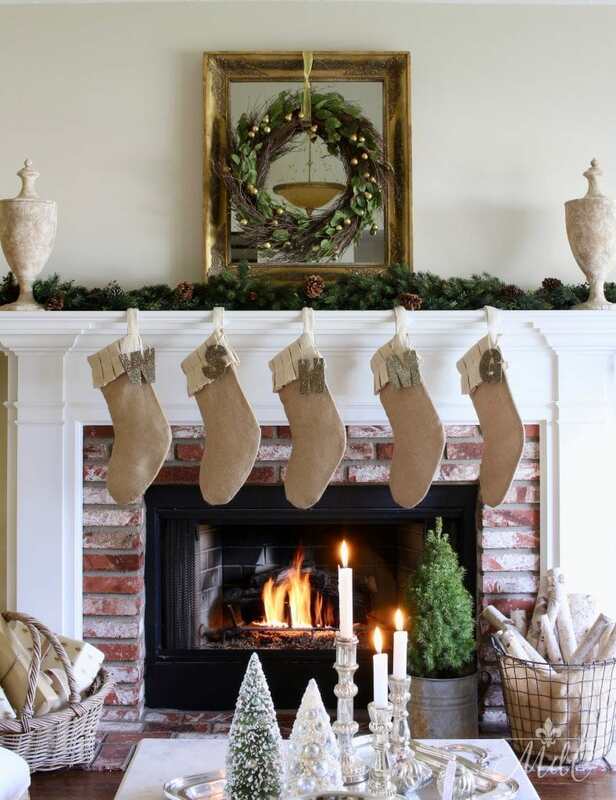 This year I focused on warm and cozy decor inspired by nature. For this Christmas tour featuring my front porch, I joined 20+ bloggers for the 12 Days of Holiday Homes Tour. This was my first time joining this tour, and I loved being a part of it. 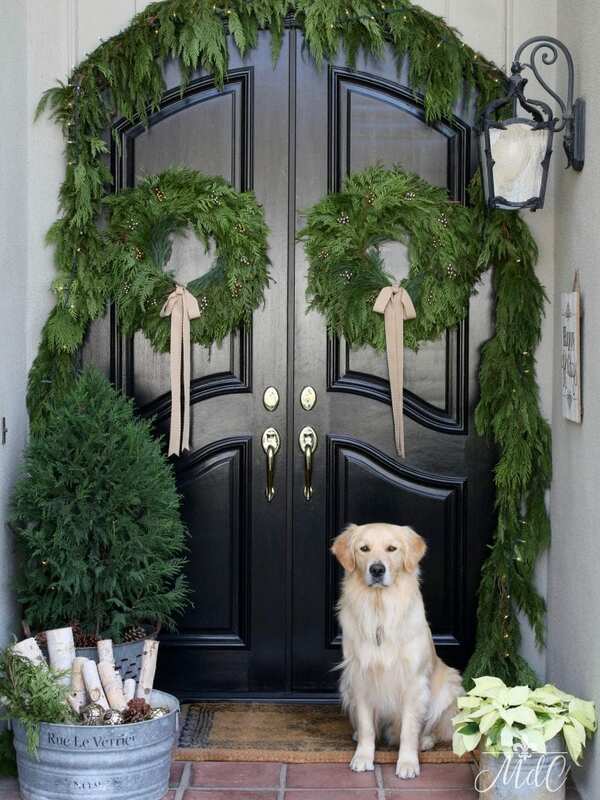 And the most popular post of the year is, not surprisingly, another holiday home tour! I really loved this tour as it was much smaller and more intimate, with only seven of us participating. But the thing that made it stand out, I think, is that the bloggers participating all have a very similar design aesthetic. Whether that was the reason or not, either way, it really resonated and I had more traffic on this post than any other this year! And in taking stock of all that has happened in 2017, I want to say thank you to all of you. This year my readership has grown enormously, and in turn, my opportunities. I know that could never happen without all of you. It’s a fast paced world, with so many things vying for our time, so you taking the time to read the blog, and to comment, means so much to me. Home, and all that that encompasses, is my passion. And the fact that I get to share that with like-minded people is truly a dream come true. Thank you from the bottom of my heart! I am looking forward to 2018 and all the things that are in store for Maison de Cinq, some of which I can’t wait to share with you! I hope you’ll continue to follow along on this journey with me…. I, too, am new to your blog. This post was simply lovely, and helped me to catch up on your blog. I adore the French bread boards! Happy New Year! Oh how nice! There is simply nothing better for a blogger than to hear from a new reader! Thank you so much for stopping by, and for leaving such a sweet note! I look forward to seeing you around here again! I discovered your blog in 2017 and have so enjoyed it. 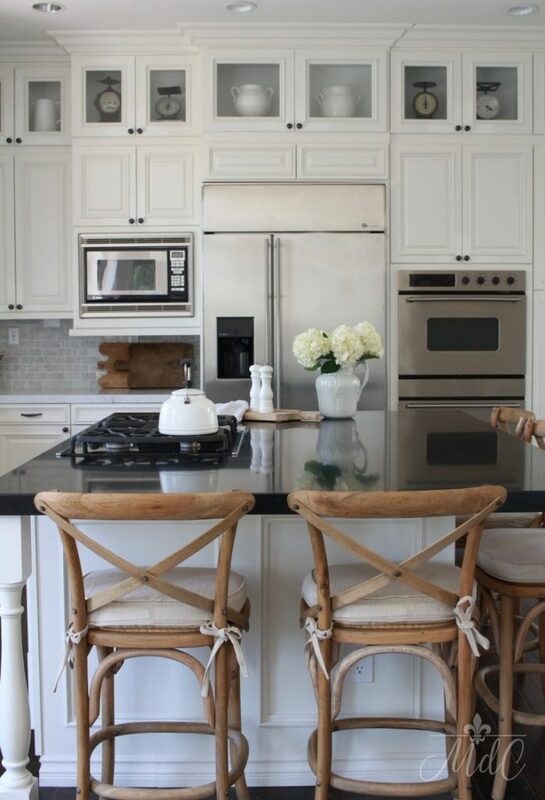 The pictures you have taken of florals in your kitchen have been some of my favorites! I look forward to the new year in this blogging world. So much good inspiration! Wow Paula, thank you! I’m so happy you’re here and took the time to connect! Happy New Year! I’m fairly new to your blog so I was excited to go back to read the Top 10 posts. I LOVED the post about your Thanksgiving tablescape, though I must say I was a bit surprised to see a rather unusual flatware setting. Ordinarily the knife and spoon are placed to the right of the plate with the sharp edge of the knife facing inward. Lovely blog! Glad to have found you. As far as the flatware, I do so many tablescapes throughout the year that that is just me trying to “mix things up”! I’ve also put them on top of the plate with twine, and the way you’ve described, too! So glad you found me – and I hope you’ve subscribed so you won’t miss any posts! Welcome, and thanks again! I am fairly new to your blog. It is a joy to savor. Congratulations on your successful 2017. I am happy to be one of your readers and absolutely love everything I have seen. Classy, inspiring, and oh, so inviting. Delightful! Beautiful! Happy 2018! Wow Sherry, thank you SO much! This is the best comment any blogger could ask for! Glad you have found me and am so happy you are inspired. Looking forward to sharing more with you in 2018! Happy New Year to you!